Animal Abuser Registry Laws: NY is First, but Shouldn’t all States Jump on the Bandwagon? 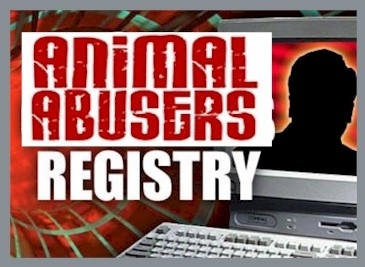 Last month, with a unanimous vote by the Legislature, Albany County became the third county in New York, and the Nation, to require persons convicted of misdemeanor or felony animal cruelty charges to register on the animal abuse registry. 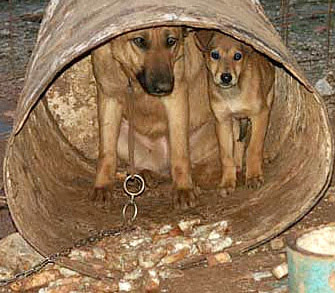 According to “Local Law K,” first time offenders will remain on the registry for 10 years and second time offenders will remain there for life and will be prohibited from owning an animal while on the registry. Other provisions of the law will subject offenders to fines and and other punishments for failure to comply. The New York Times reported earlier this week (here) on state legislation under consideration in three jurisdictions. The proposed laws would allow courts to prohibit animal abusers from having pets in the future. According to the NYT, 27 states now have similar laws. 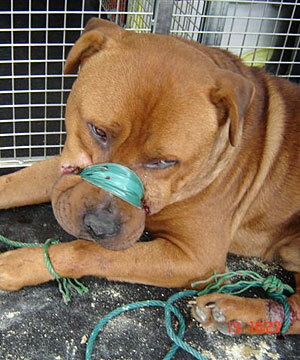 Animal lawyers and law scholars long have acknowledged the connection between animal abuse and violence against women. For recent scholarship, see, e.g., Caroline Anne Forell, Using a Jury of Her Peers to Teach About the Connection between Domestic Violence and Animal Abuse, 15 Animal L. Rev. 53 (2008). The NYT article leads with a statement claiming that proposed legislation is “[r]esponding to growing evidence that people who abuse animals often go on to attack humans.” But the article makes more of the cost to state and local governments of caring for abused animals that are rescued. The article cites $1.2 million in expenses by Franklin County, Ohio officials caring for 170 rescued dogs. A Michigan county paid $37,000 in clean-up costs when dead animals were found in a hoarders home. This leaves one with the impression that the least vulnerable among us get legal protection only when its absence becomes too expensive for the state. A society or government that listens only when money talks does not adequately respond to those with the greatest needs. From the Hopeful Developments Desk: California State Senate Majority Leader Dean Florez has drafted a bill (with help from the ALDF) which will require people convicted of felony animal abuse to register with the state and provide a current photo, home address, place of employment and other information. The law, if passed, will be funded by a small tax on pet food. Florez, who also chairs the Food and Agriculture Committee, is counting on his credibility in the Ag world as well as bipartisan opposition to animal abuse to overcome the anti-tax backlash that inevitably accompanies any non-revenue neutral proposal. We shall see. More here and here.